IndieWire's Anthony Kaufman speculates on the sales activities for the docs at Sundance. While documentaries have experienced greater theatrical market share and overall ticket sales in past years, 2018 will be remembered as the first time four independently-released nonfiction films earned more than $10 million, three of which (Won't You Be My Neighbor?, RBG and Three Identical Strangers) premiered at Sundance (the fourth, Free Solo, premiered in Telluride). Reflecting the widespread interest in uplifting real-life stories as an antidote to the dire political climate over the last 10 months, the four films reached a total box-office of nearly $60 million, while another seven documentaries surpassed $1 million (lead by titles such as Fahrenheit 9/11, Death of a Nation, and Whitney). It's this renewed appetite for entertaining nonfiction, along with more streaming companies outside of Netflix hitting a film festival that's continually premiering the year's top documentaries, that could propel Sundance 2019 into the record books. Peter Hamilton of DocumentaryBusiness.com examines the odds of being accepted into the 2019 Sundance Film Festival. Sundance’s inside track for talent development multiplies your odds of acceptance, but not of winning a prize, as I posted in 2018. The Sundance selection bar is higher for international projects than US ones. Congrats to the 49 acceptances for overcoming these huge odds and winning acceptance through their talents and timeliness. 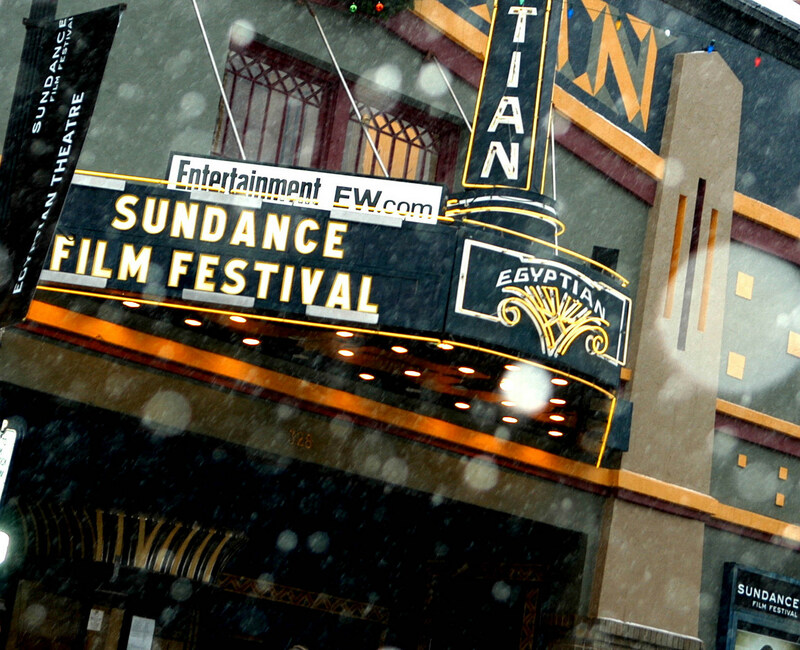 However, few Sundance-recognized documentaries go on to a successful theatrical run. There’s always IDFA, TIFF, Berlin, Hot Docs, SXSW and other prestigious international and regional festivals. And licensing and distribution deals across the multiple platforms that are available today. The documentary world lost Mark Urman this past week. The indie distributor, who headed ThinkFilm and later Palladin, helped bring many docs to box-office success and award-winning acclaim in the 2000s. Writing for Filmmaker, Anthony Kaufman fielded reflections from Urman’s contemporaries. During Urman's tenure at ThinkFilm, he also helped foment a surge of documentary box-office successes in the mid-2000s, such as Oscar winners Taxi to the Dark Side and Born Into Brothels. Submarine Entertainment co-founder and producer Josh Braun, who represented Spellbound, saw "that film as one of the true turning points when a documentary was perceived as not just an informational experience but a cinematic experience, and it was 100% due to Mark and his team at ThinkFilm." Braun continues, "He certainly contributed to the world of film in a major way, but in particular he was pivotal in the evolution of documentary films." Variety's Michael Schneider analyses the upsides of the Television Academy's recent decision to do away with DVD screeners for Emmy voters. Moviemaker presents its annual survey results of best big cities and small cities and towns to live and work in as a filmmaker. Here's some of what went into our rankings: a city's film activity in 2018 (number of productions, economic activity generated, shoot durations), infrastructure (health of film commissions and non-profits, number of film schools and VFX houses), and local luminaries. Then there’s population and geographical size, state and local incentive programs, and ease of movement and traffic. Lastly, we’ve erred on the side of letting quotes from the representatives of our selected cities and towns breathe a bit. These folks have lived and worked in the places you’re considering, so hopefully their stories will impact yours. Film Comment's Ela Bittencourt talks to acclaimed Czech docmaker Helena Trestikova about her canon. I am more of an observer. I capture truth without interfering, without arranging the situation. I wouldn't know how to use fictional elements, and never include them, but when other directors use them well, it's wonderful. It really speaks to me when someone captures time in that way. The films I chose really influenced me because they made me see that film could be something wonderful. Yes, there are moments of staging, but what struck me was the cinematography, the way they were able to observe people, present the time in which they were shot, and express duration. Duration of daily life has always fascinated me. From the Archives, November-December 2007: "The Accidental Doc Distributor: Surprising Success leads to a taste for Nonfiction Films"
So, for me and most independent distributors I know, docs have become a steady part of our film buying, filmmaking and film-going diet, and today, the distinction is no longer "documentary" versus "drama." Now, the distinction is good or bad, commercial or limited, sellable or small, a pursuit or a pass. It's either a movie we want or a movie we don't.